Lift one of the eight peg puzzle pieces to see and hear what's happening all over this busy farm! 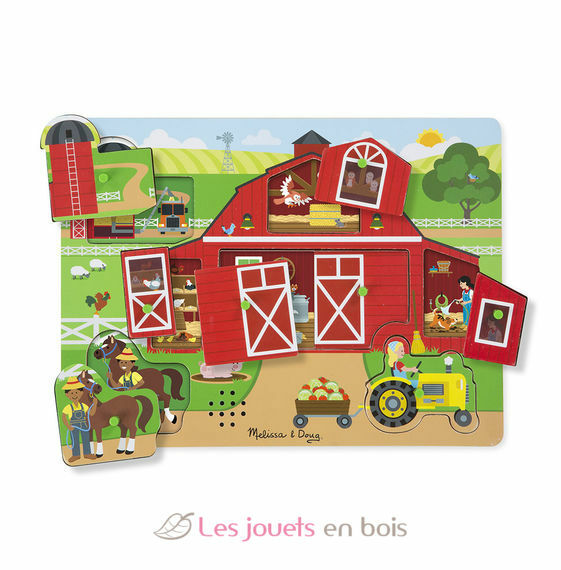 This unique sound puzzle lets kids two and older a cow being milked in the barn, a tractor starting up, grain flowing from the silo to a truck, and much more. Replace the piece to immediately stop the sound and move to the next part of the farm! 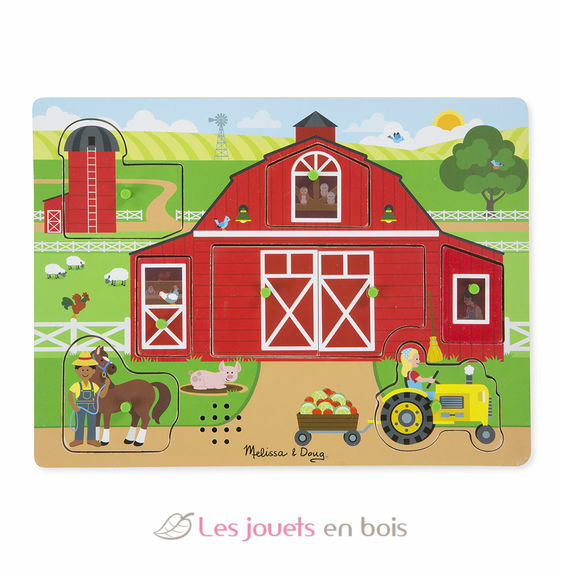 Kids two and older will love exploring the farm and discovering new, full-color pictures under each piece, and learning what is making the realistic sounds. A musical wooden toy of the famous American brand Melissa and Doug. Around the Farm Sound Puzzle - Ref. 42800.